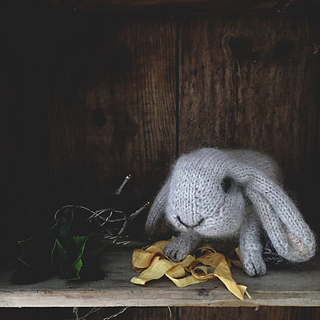 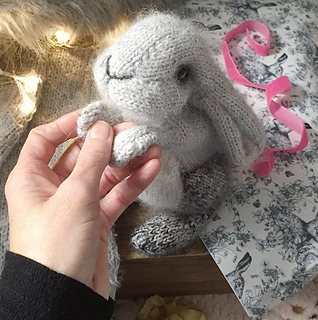 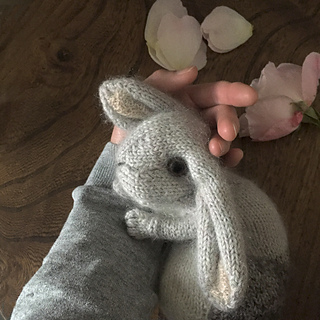 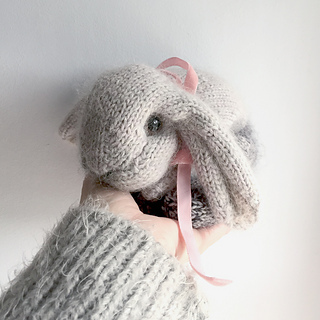 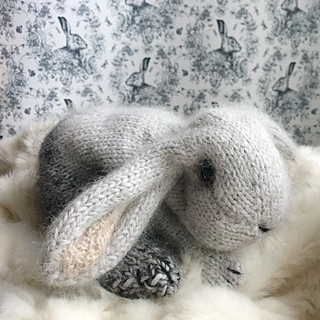 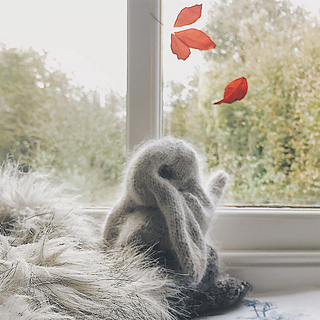 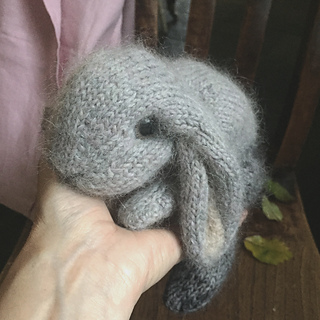 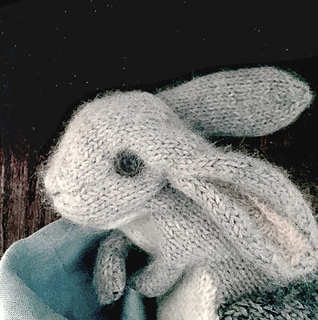 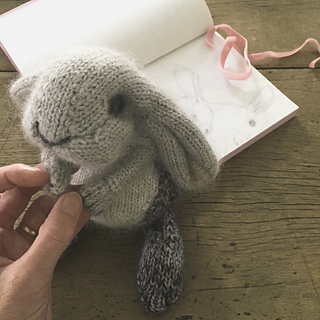 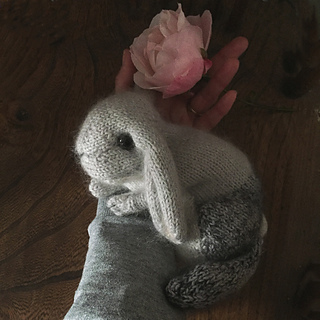 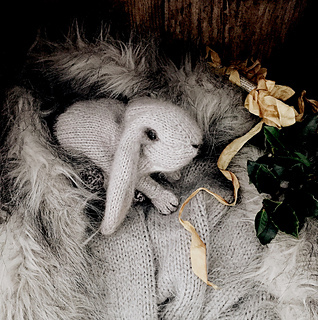 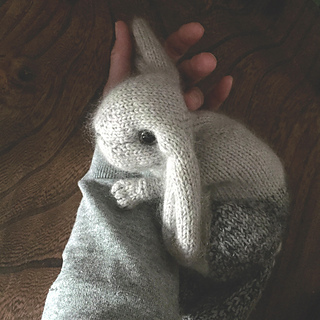 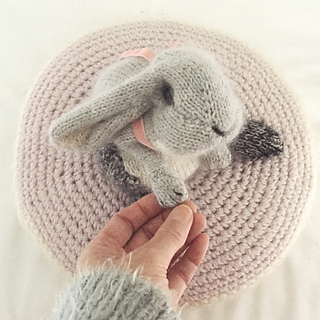 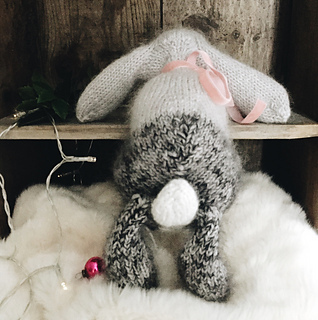 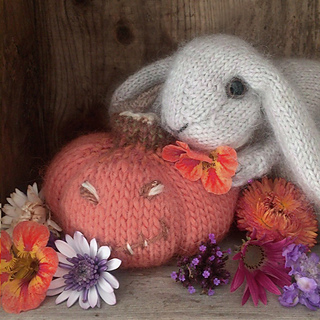 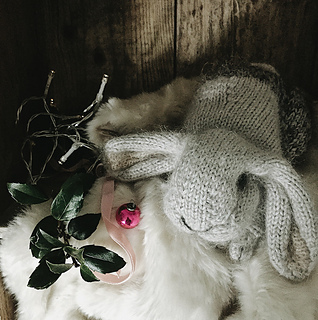 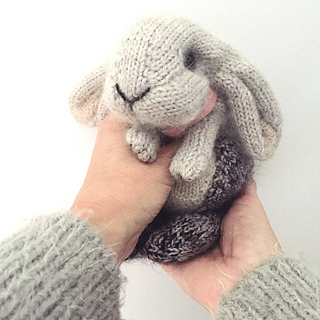 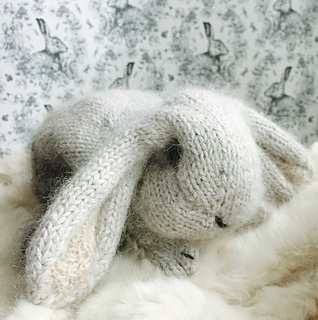 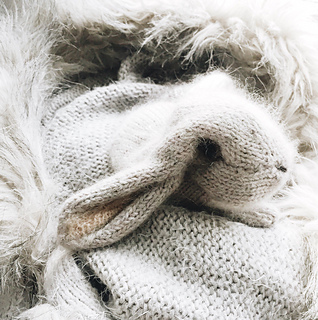 I’ve knitted my little Holland Lop Rabbit (almost) one piece joining as you go - the legs and hind feet you sew on after. 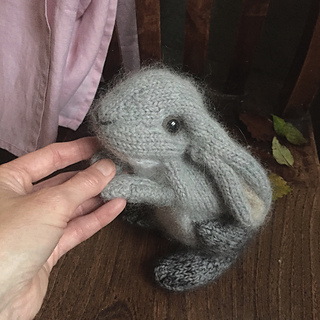 I’ve knitted her using fine Alpaca, wool and Alpaca mix yarns PLUS a touch of mohair - I need to admit here that the yarn (mohair treat) came first - an impulse buy that I needed to use!! 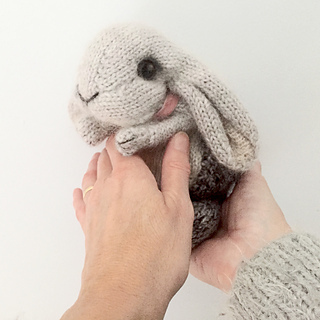 - Please note you will need less than a ball of the stated yarns of which I’ve used 2 or 3 strands at a time. 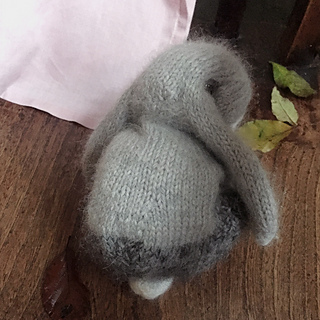 You’ll also need a pair of 15 mm brown toy eyes - I use the push on back acrylic ones (look to Ebay for these, Trimits also have them) and toy filling - a heavy kapok works best I find…. 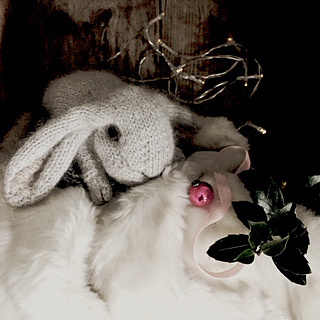 - in fact, if you’re planning on printing it out you may wish to print black and white and omit images? 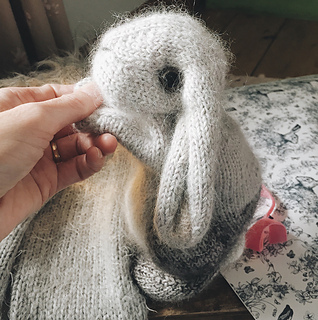 Finally - I did ever so slightly felt mine which gave the mohair a sense of extra fluffiness - this bit is up to you naturally!